Technical analysis services are most often carried out by FEM analysis. 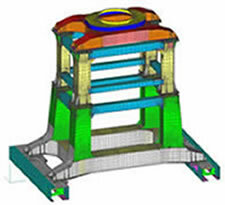 The analysis results are used for the optimization of structural shape, material weight and cost or to ensure that the structural strength and the fatigue strength are sufficient. Several problems can be solved using technical analysis. Some examples of possible cases are presented below. All examples are actual cases, analysed by Stressfield Oy. 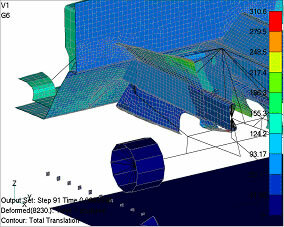 Displacement and stresses are determined by FEM-analysis or by traditional formulas. Stressfield offers linear as well as nonlinear static analysis. By nonlinear analysis one can obtain reliable results also when structural displacements are large, when limits of proportionality are exceeded or when different parts are in contact with each other. Linear analysis is most commonly used form of analysis. 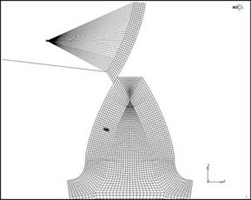 Linear analysis can be used when deformations are small and stresses are relatively low. It can be used also when structures are dimensioned by different standards or when results are used as input information in subsequent analyses (fatigue analysis, fracture analysis). Vibration analysis is either analysis of normal modes or analysis of forced vibrations (dynamic response analysis). In dynamic response analysis the loading can be of harmonic excitation or shock loading, for example. As a result one obtains those frequencies and modes of vibration that the structure tends to follow (normal mode analysis) or displacements, velocities, accelerations and stresses due dynamic excitation (response analysis). 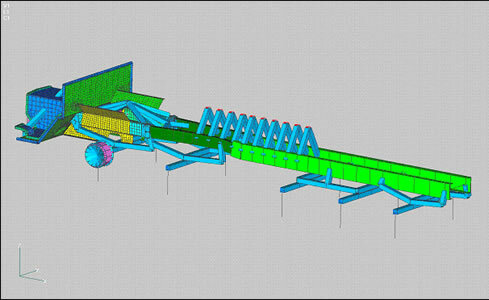 Load determination and results interpretation are an important part of dynamic analysis. Strain and acceleration measurements are often used as an aid of getting realistic loads. Stability analysis is used to study structure’s sensibility to buckling. Typical applications for stability analysis is building frames, bridges, storage silos, boom structures and many other structures carrying compressive or bending loads. Linear stability analysis is used when buckling strength is assessed using some standard. Nonlinear analysis can be used to obtain buckling strength of structures with initial imperfections or arbitrary shape (plate structures that are not rectangular or triangular for example). 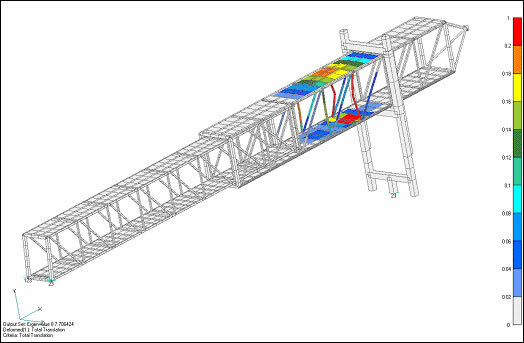 Heat transfer analysis is used to obtain heat transfer in a structure. Mechanisms for heat transfer are convection, conduction and radiation. 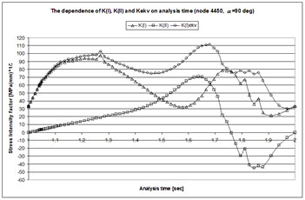 Analysis can be steady state or transient heat transfer analysis. If convection is important factor of total heat transfer the analysis can be performed using CFD, which allows more accurate consideration of the fluid flow effect. 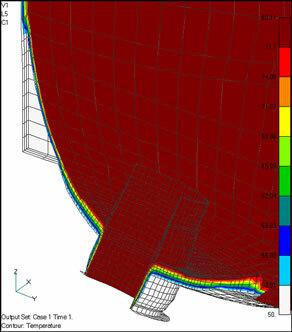 More information on heat transfer calculations using CFD can be found here. 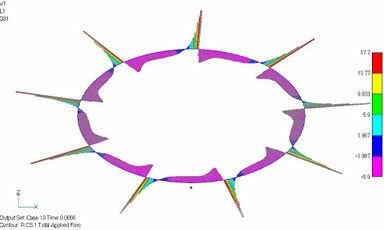 Explicit analysis is used for fast event and extremely nonlinear analyses. Some examples of applications are crash analysis, Fluid-structure interaction (aquaplaning, sloshing), ROPS/FOPS analysis, manufacturing processes, drop testing and explosion analysis. 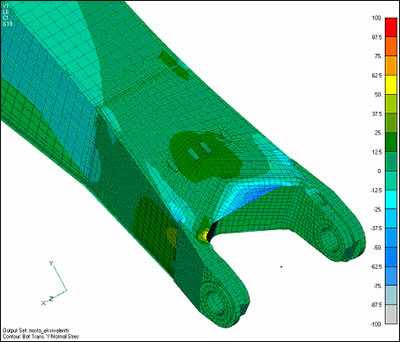 Simulation of manufacturing processes requires the use of nonlinear analysis. Analysis can be implicit or explicit analysis. Typical applications are deep drawing, roll forming, pressing, joining, welding simulation etc. 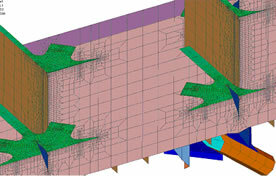 Final form of a structure (spring back), residual stress distribution and magnitude after forming or forces required for manufacturing can be obtained using simulation. The determining failure mechanism leading to reduced service life is most often fatigue. 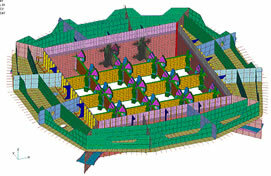 Stressfield Oy is specialised in life time assessment of structures. This assessment can be done using traditional fatigue analysis or fracture mechanics based analysis. Fatigue analysis can be done using different standards (EN, DNV etc.) or generally accepted research results or recommendations (IIW etc.). 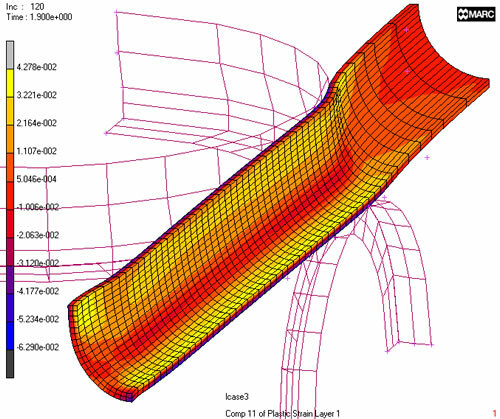 Fracture mechanics analysis can be used also when strength cannot be analysed using standards or recommendations (unclassified details, weld root side fatigue). Linked to service life analysis is an improvement of the structure. We give recommendations for structural improvements so that the desired service life can be obtained. Cracks or other voids exceeding normal quality requirements are often found in inspections. Therefore a fitness for purpose analysis must be carried out to see if the structure can still be used safely to intended service. 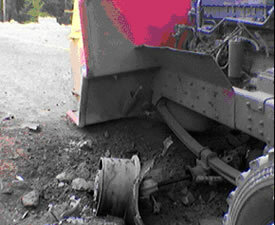 Critical crack size assessment can be used in this job. As a result one gets knowledge if the initial void is severe enough to cause crack growth during service. The analysis can be carried out by comparing calculated results to stress intensity threshold values. Our approach goes beyond representing the results. We will also provide interpretation of the results as well as give suggestions to enhance your products performance further. We can make expert statements if needed, for example as a part of fitness for purpose assessments of structures with initial cracks or some other deviations from intended quality. 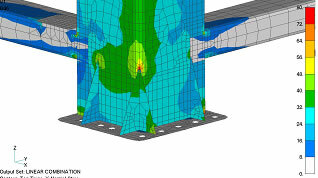 We use the following software in our FEM analysis: MSC.Nastran, NX.Nastran, MSC.MARC, ANSYS Professional and LS-Dyna plus FEMAP, NX6, Space Claim and MSC.Patran for pre- and postprocessing. 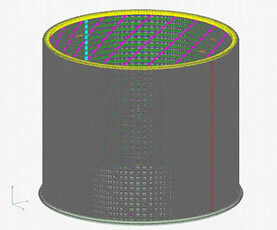 We use Visual Vessel Design ( VVD ) software for pressure vessel analysis according to EN 13445.